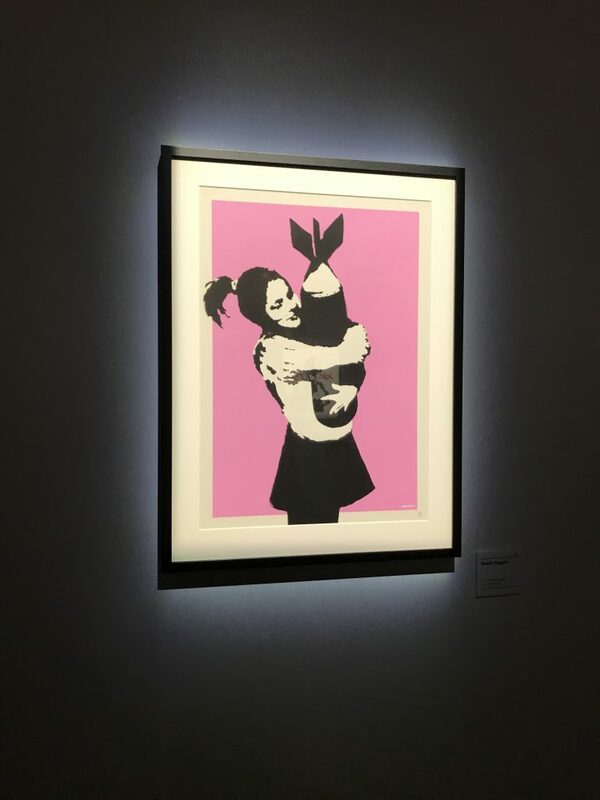 The Art of Banksy exhibition is making its North American debut in Toronto, Canada and it’s now open to the public. 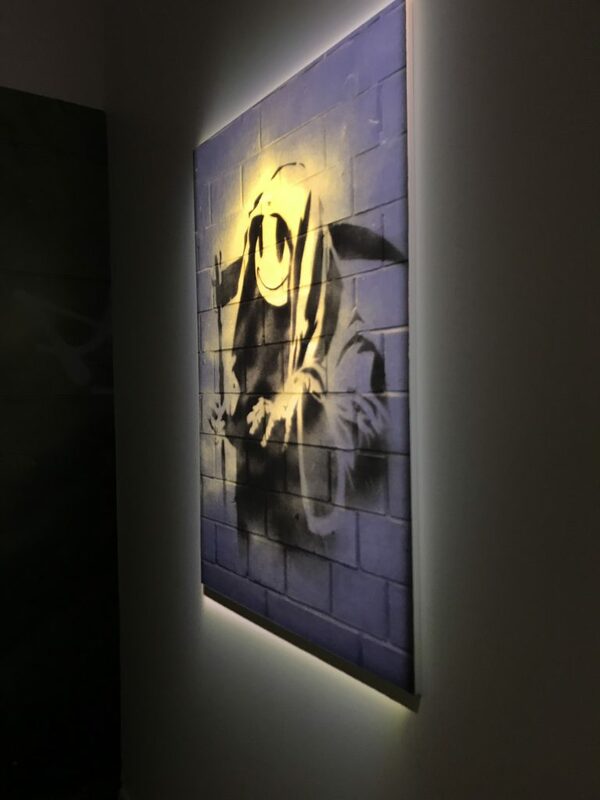 It will showcase 80 original art works made by the world famous “Banksy“. 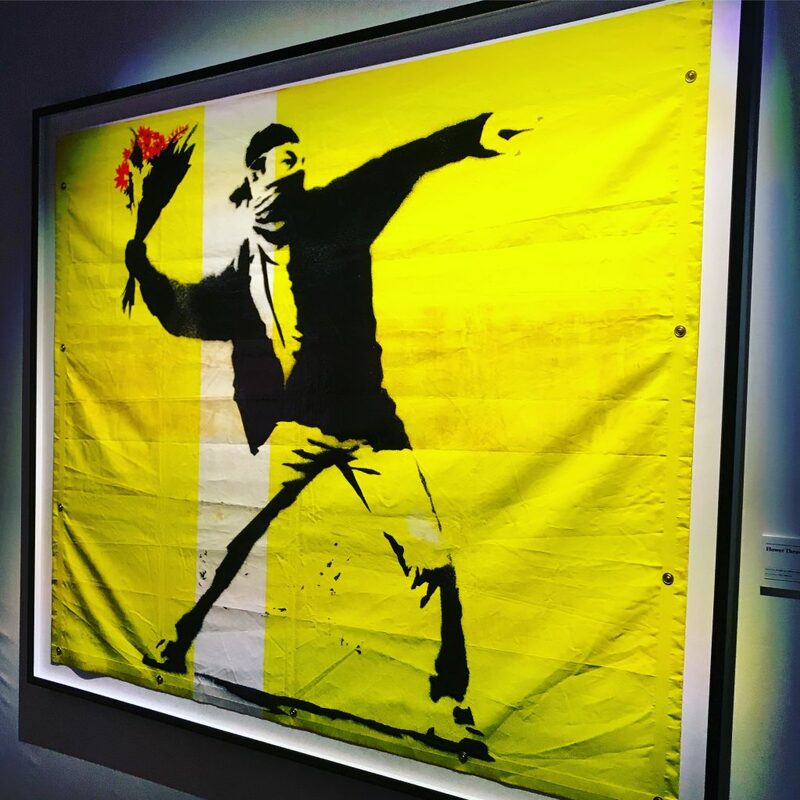 Banksy is a stage name for this artist who creates street arts, graffiti and controversial messages, yet no one knows his real name nor his real identity, but yet everyone knows and heard of his Banksy art collection. 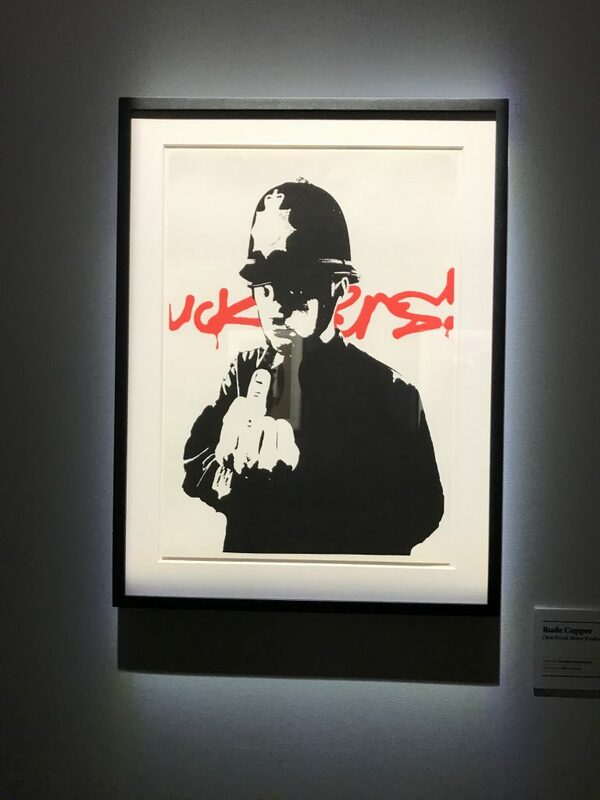 This art exhibition is curated by Banksy’s former manager, Steve Lazarides, who works with Banksy before. 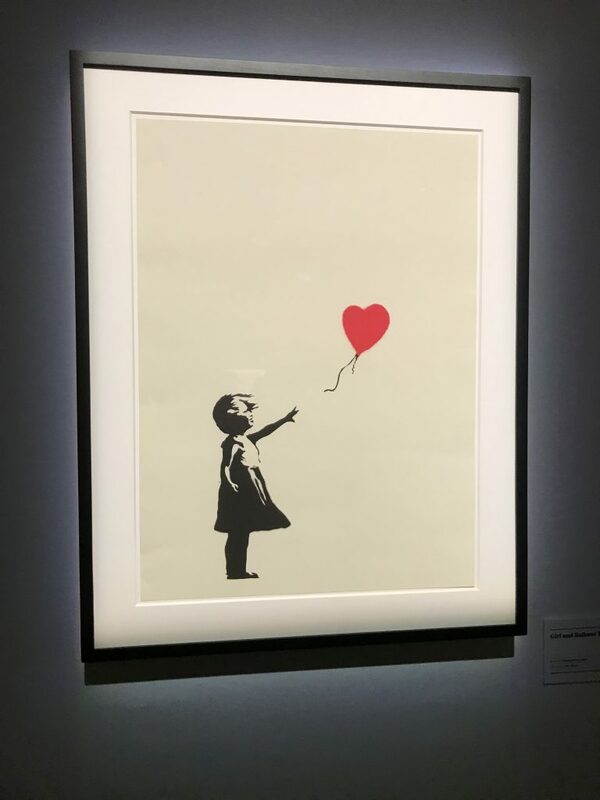 These 80 original art pieces came from art owners who bought Banksy pieces and they have decided to lend out their respective art pieces so the public can enjoy and explore Banksy’s art work. 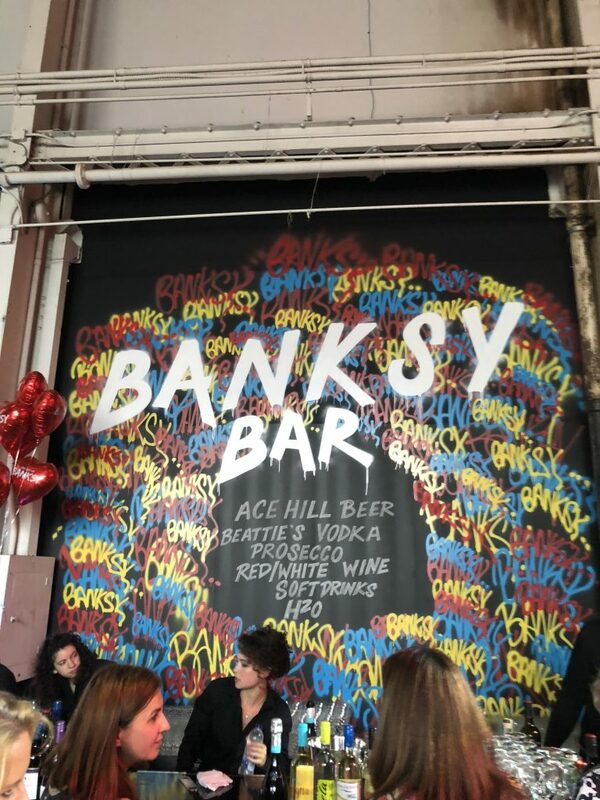 The venue is located at 213 Sterling Road, which is close to the Landsdowne & Bloor area, the main reason for the venue location is its large space, it’s a warehouse with high ceiling, brown brick walls that complement the theme of Banksy art works. 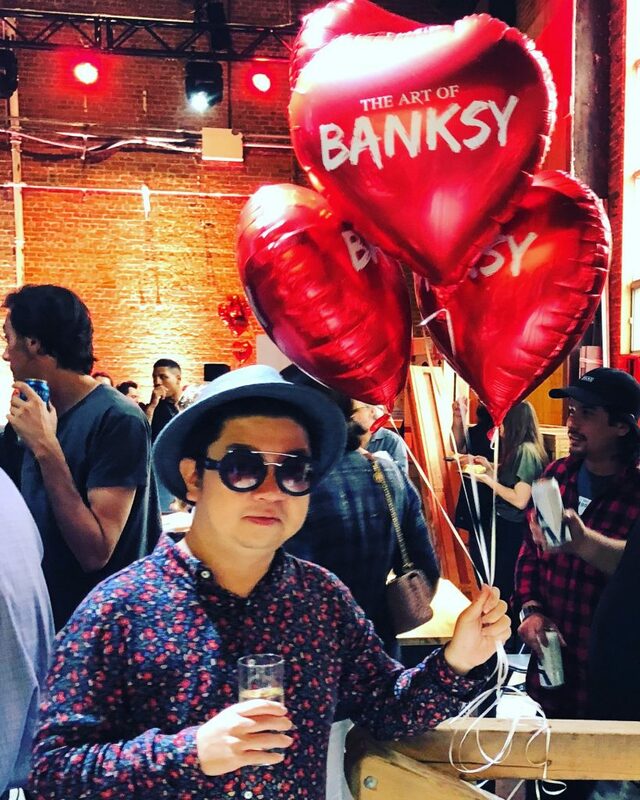 My crew were invited to attend the VIP Opening Night, which we were served with cocktails, Hors d’oeuvres, ribbon cutting and getting to check out Banksy’s work before the public eye. 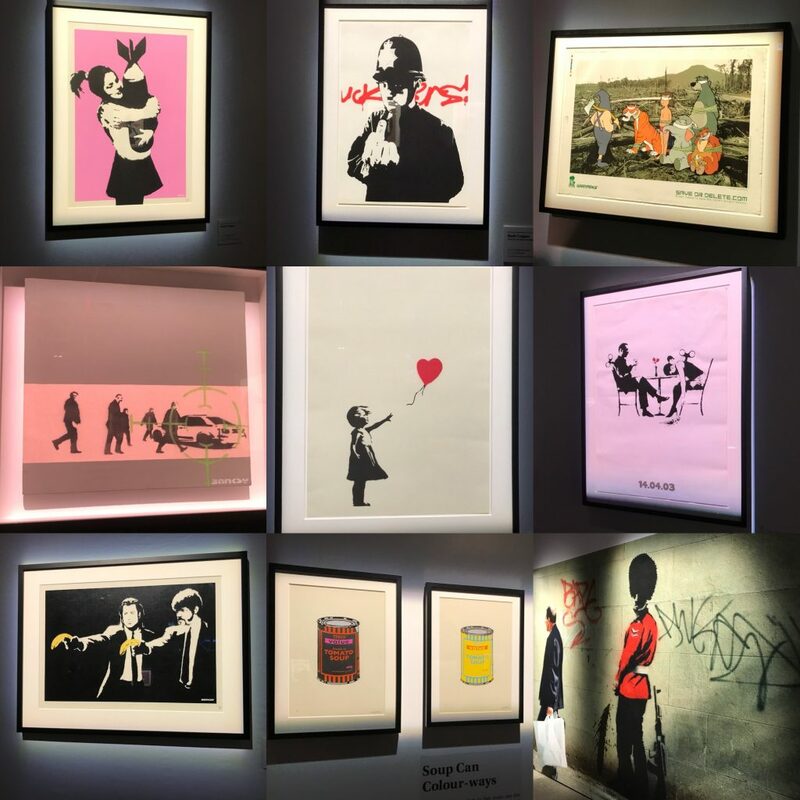 The display is organized in various sections from Banksy street art to screen prints to his life quotes, etc. 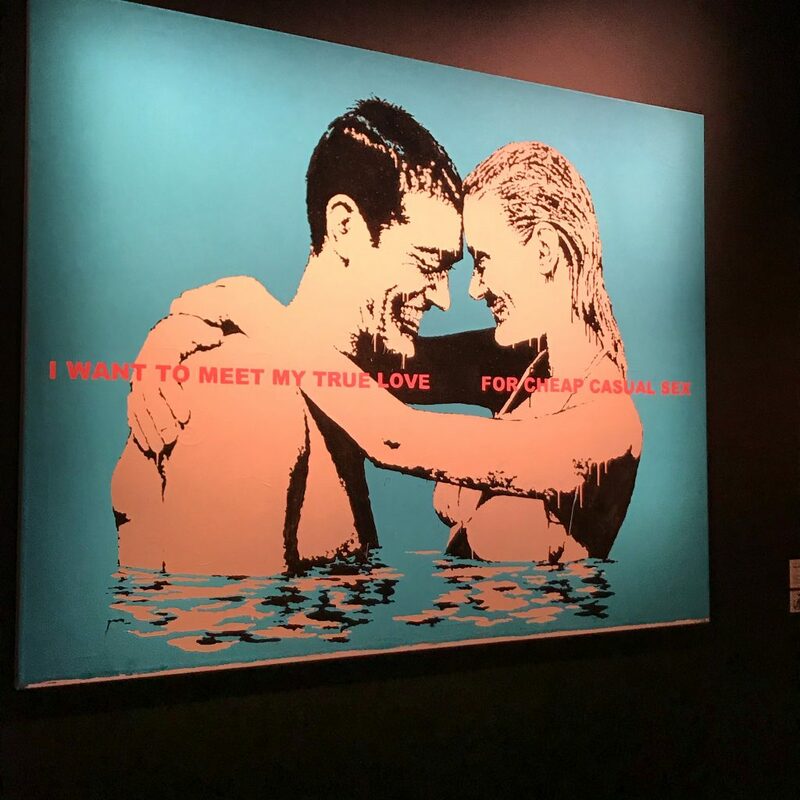 I enjoyed the art exhibit and the modern art works are very fascinating and inspirational. Lots of colours and cool controversial messaged art work. 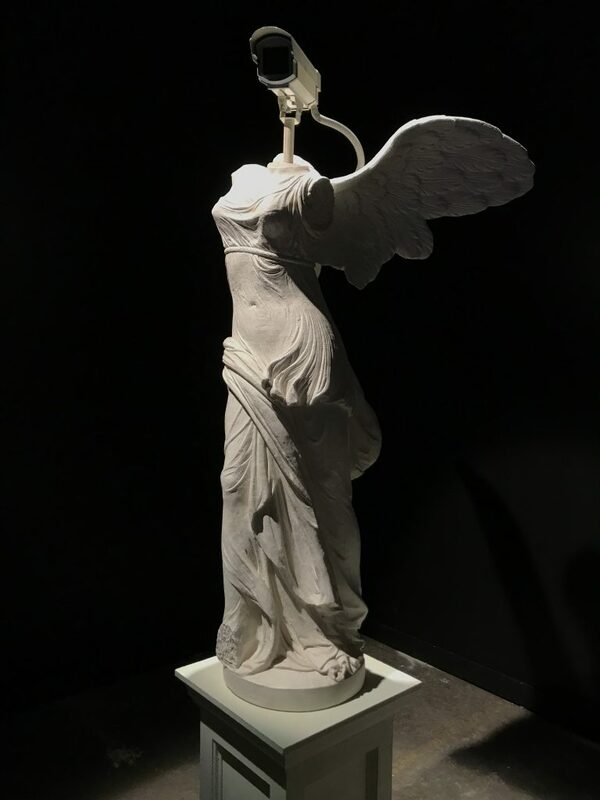 You have to be open minded, think out-of-the-box when checking out his work. 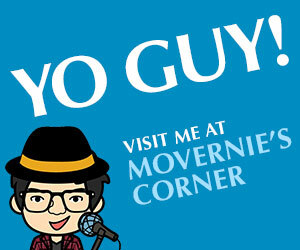 And to the social media peeps who are looking to take great photos and videos? 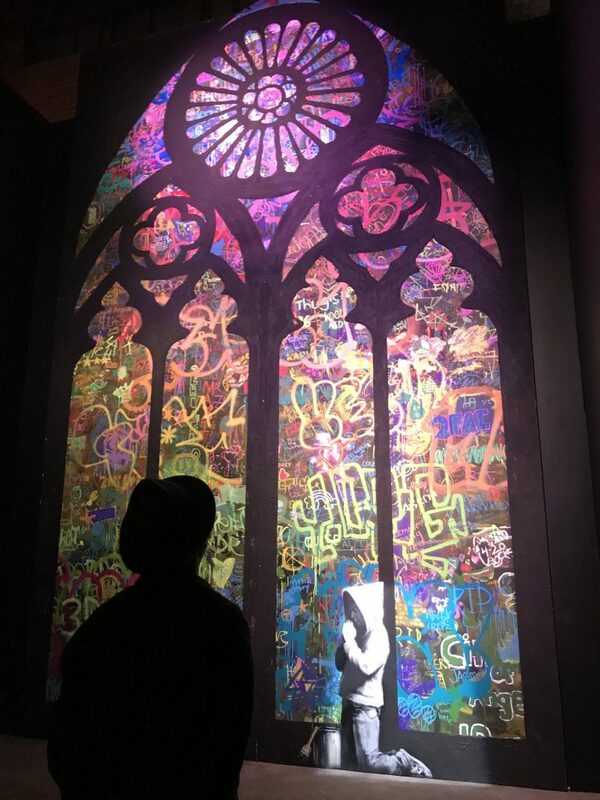 The entire art installation has superb lighting, no flash needed, the art glows in your camera screen. It’s gorgeous! It feels alive! I am pretty sure the organizer put thoughts and tested out the venue space to ensure the show goers have the utmost high quality photos. So….props to all the staff who works behind-the-scene. Whether you are an art enthusiast or just casual peeps, I highly recommend you to check out this art installation. 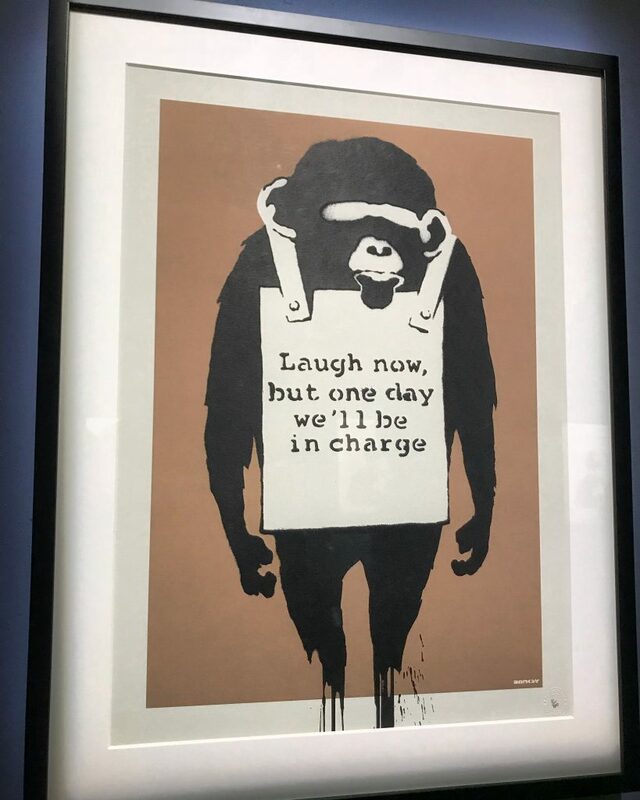 The Art of Banksy is worthwhile of your time. 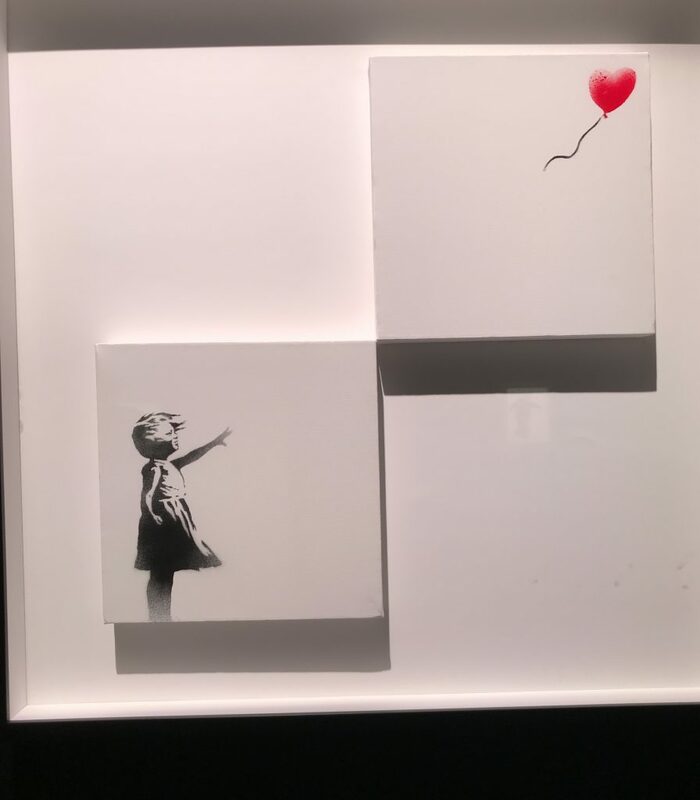 Special thank you to Live Nation + Banksy Exhibit for having us. 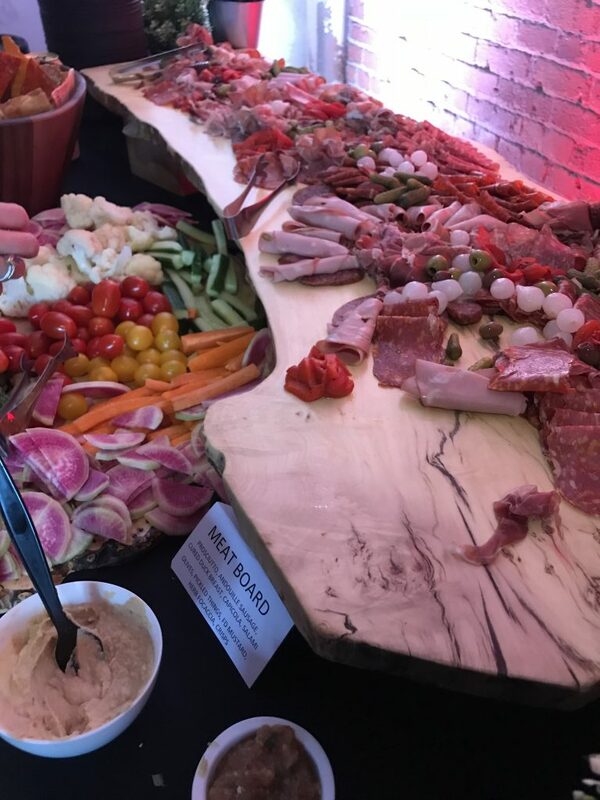 It was a wonderful VIP Opening Night Event. 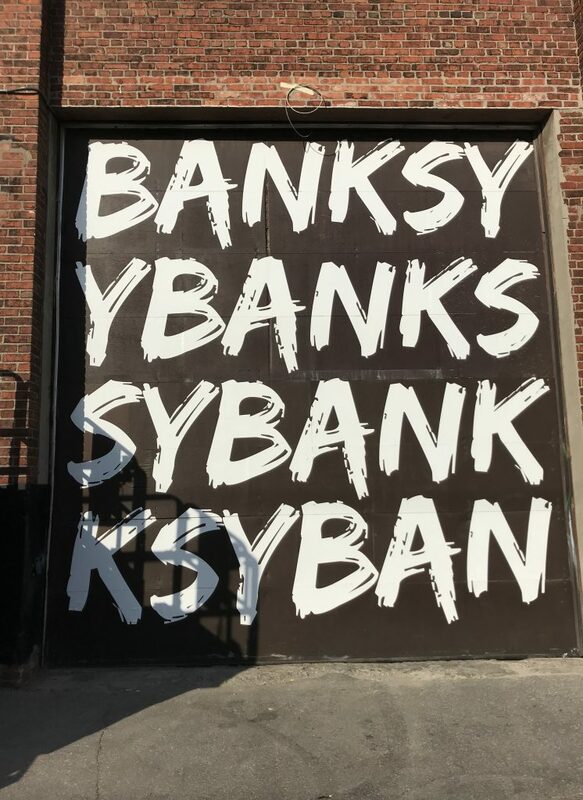 Click here to check out the Banksy Exhibit website for tickets INFO. NOTE: Parking is limited around the building but there are some street parking. Also, there is a large pay parking lot across the High Park/Parkdale Employment & Social Services building that you can park your vehicle and just a 8 minute walk from the exhibit.